Crocop was probably the fastest learner in MMA history. From pure kickboxer to stuffing Coleman's and Randleman's takedowns in a few years. He also outgrappled Barnett in their 2nd fight, in ADCC scoring it would've been like 20-0. (10-23-2013 12:16 AM)DarwinsMunky Wrote: Sad what happened once he got inside the cage though. Never been sure if he was just too used to being inside of a ring or he just started loosing his edge. I dont think it was the competition. He had traditionally been a fairly elusive fighter, but he definitely cant move like that anymore. Rampage used the theme song when he went back to japan too i think. it was not the competition, look what happened to Kongo and Gonzaga when they fought other Pride closer to their prime, Hunt destroyed Kongo and Werdum TKO Gonzaga twice. UFC is a diff. sport and emphasizes diff. things. Thats true but it took a little time for them to warm back up. Hunt had a real hard time getting his game on. But once he did it was awsome. Hunt was pretty mid level in Pride too. Hunt was coming off a 6 loss streak in Japan, so I don't think his problem was the cage or unified rules. he lost to McCorkle in his debut and then won 4 in a row in the UFC. Thats may be part of it. He had just won the HW GP before coming over right? Now granted it wasnt quite the same thing at that point in time because no fedor, but still a difficult task. I think winning that belt took alot of the competitive nature out of him. He used to be mean in that ring. I havent watched his ufc fights in a really long time but i dont ever remember seeing the same look in his eyes. Hell i dont know, it was just a shame to see a fighter you enjoyed watching go out that way. Maybe his body just had enough. I remember reading an article awhile back, not sure if it was substantiated or not, but it talked about how every mma fighter had a shelf life. But not according to their age, rather however long they had been in the sport. The decline could be scaled among any age group, within reason, and they would all have like 10 years and then start to break down. Then came trt and put a whole new twist on that. yeah I also think his body just had enough. By the time Crocop debuted in the UFC he had well over 10 years of kickboxing + MMA combined. 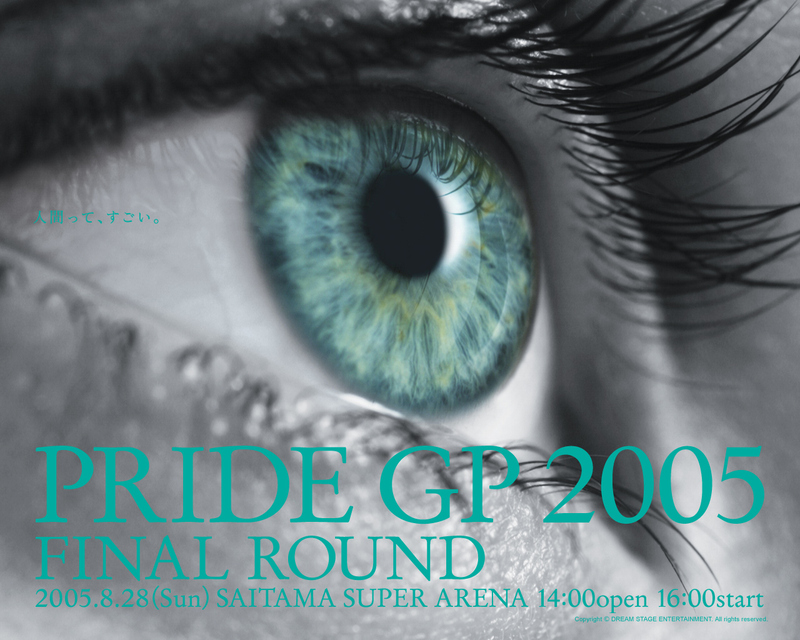 As mentioned earlier by EvilYoshida, one of the best things about the Pride posters was that they seemed to tell a story, without the generic/by the numbers pictures of fighters. ^ that's a nice one. and no it's not "ILLUMINATI"
i've seen that one before.